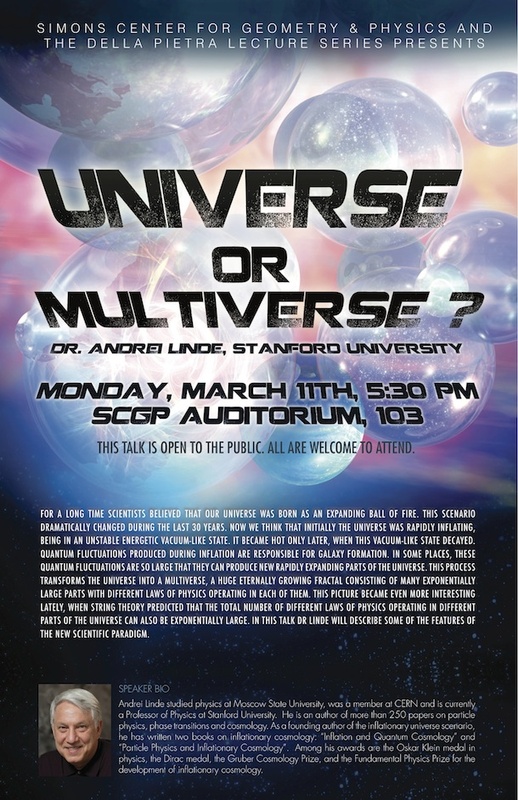 Andrei Linde studied physics at Moscow State University, was a member at CERN and is currently a Professor of Physics at Stanford University. 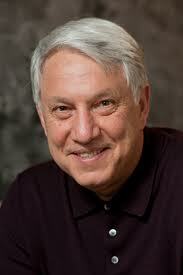 He is an author of more than 250 papers on particle physics, phase transitions and cosmology. As a founding author of the inflationary universe scenario, he has written two books on inflationary cosmology: “Inflation and Quantum Cosmology” and “Particle Physics and Inflationary Cosmology”. Among his awards are the Oskar Klein medal in physics, the Dirac medal, the Gruber Cosmology Prize, and the Fundamental Physics Prize for the development of inflationary cosmology..
Abstract: For a long time scientists believed that our universe was born as an expanding ball of fire. This scenario dramatically changed during the last 30 years. Now we think that initially the universe was rapidly inflating, being in an unstable energetic vacuum-like state. It became hot only later, when this vacuum-like state decayed. Quantum fluctuations produced during inflation are responsible for galaxy formation. In some places, these quantum fluctuations are so large that they can produce new rapidly expanding parts of the universe. This process transforms the universe into a multiverse, a huge eternally growing fractal consisting of many exponentially large parts with different laws of physics operating in each of them. This picture became even more interesting lately, when string theory predicted that the total number of different laws of physics operating in different parts of the universe can also be exponentially large. In this talk Dr Linde will describe some of the features of the new scientific paradigm. 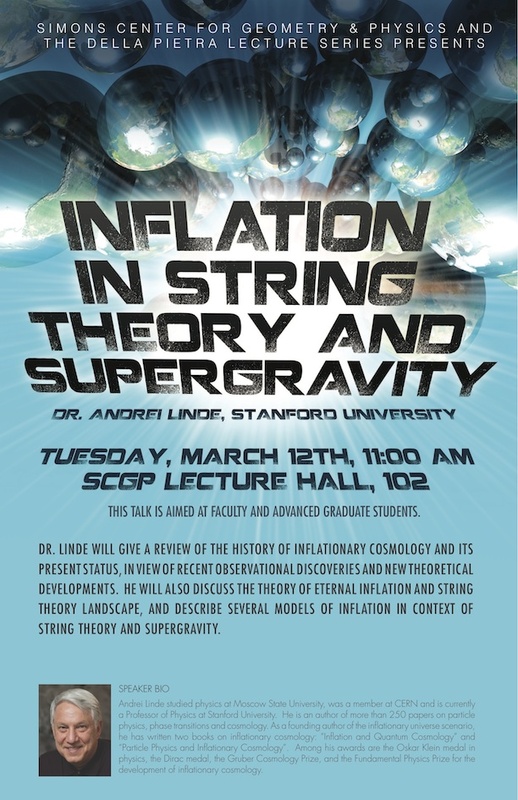 Abstract: Dr. Linde will give a review of the history of inflationary cosmology and its present status, in view of recent observational discoveries and new theoretical developments. He will also discuss the theory of eternal inflation and string theory landscape, and describe several models of inflation in context of string theory and supergravity.